Ask us about special bundle pricing! 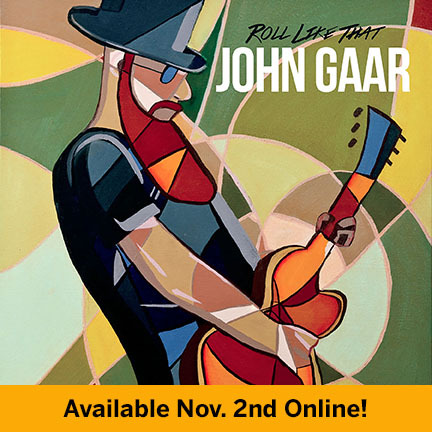 Roll Like That CD -- Autographed to You! New 2018! 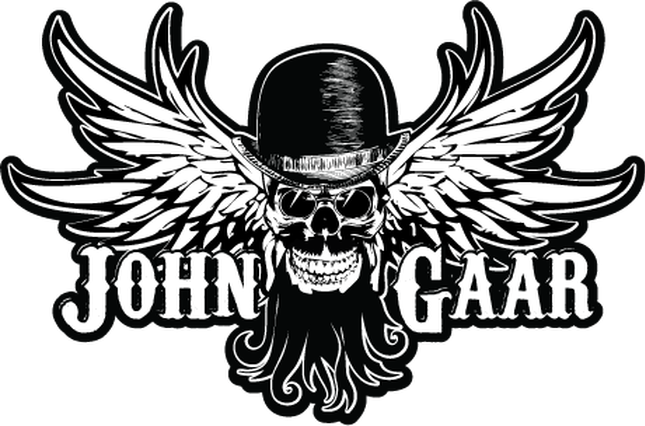 Details on music page. 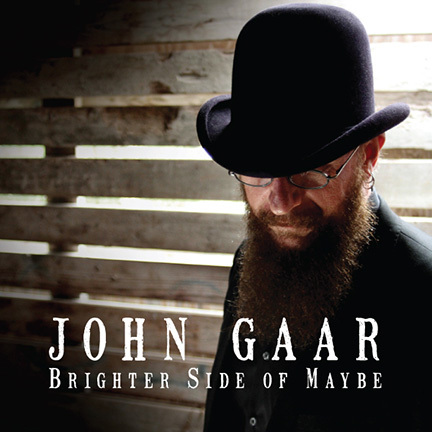 Brighter Side of Maybe CD -- Autographed to You! 2011 Release. Details on music page. 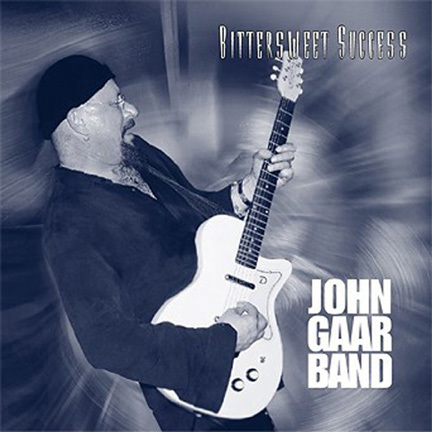 Bittersweet Success CD -- Autographed to You! 2004 Release. Details on music page. 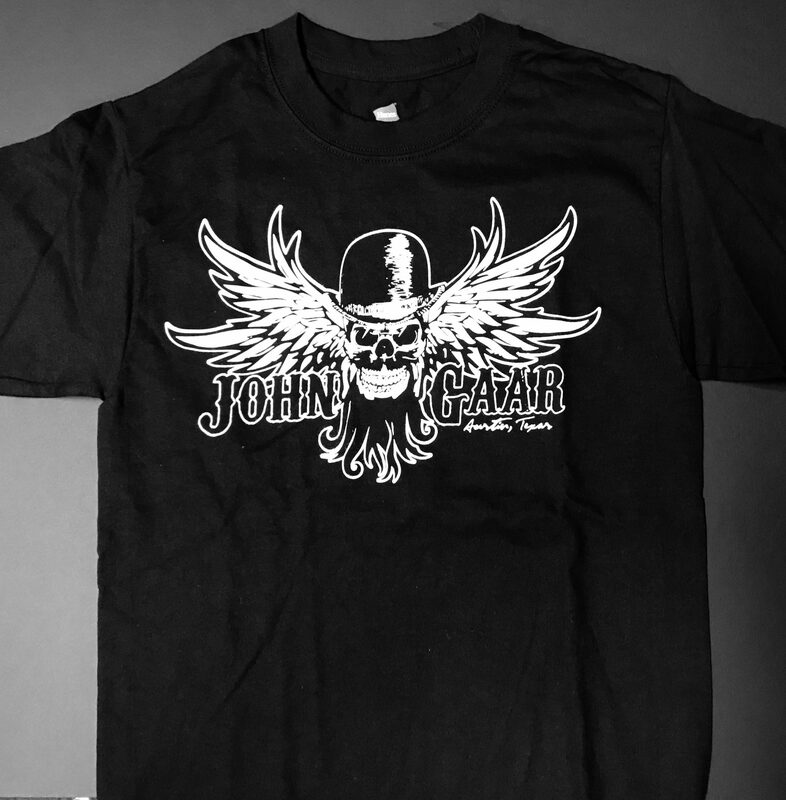 Gildan brand 100% cotton. Water-based/discharge ink for the super soft comfy feel. 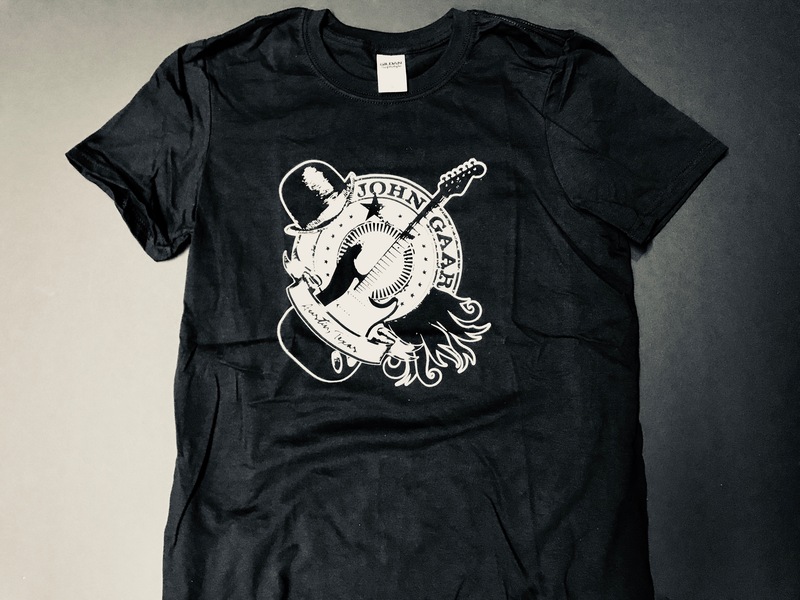 Sizes S-M-L-XL-XXL. Bella brand 98% cotton, 2% spandex. 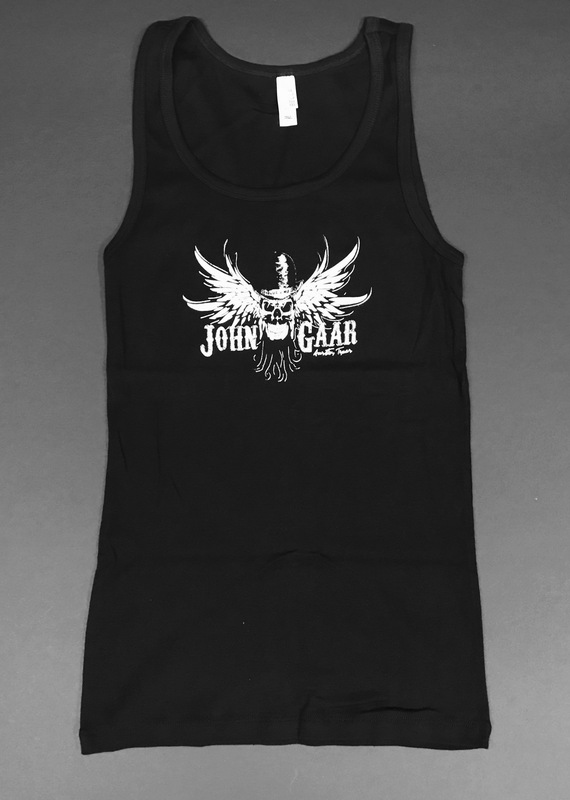 Sizes S-M-L-XL. Currently out of stock/on re-order. 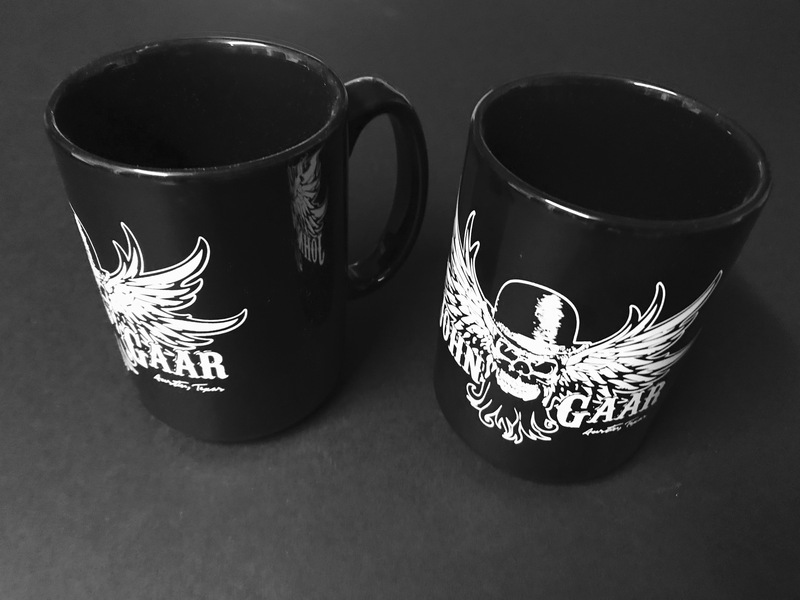 Mug with extra large handle and 14 ounce capacity appeals to serious coffee or tea drinkers. 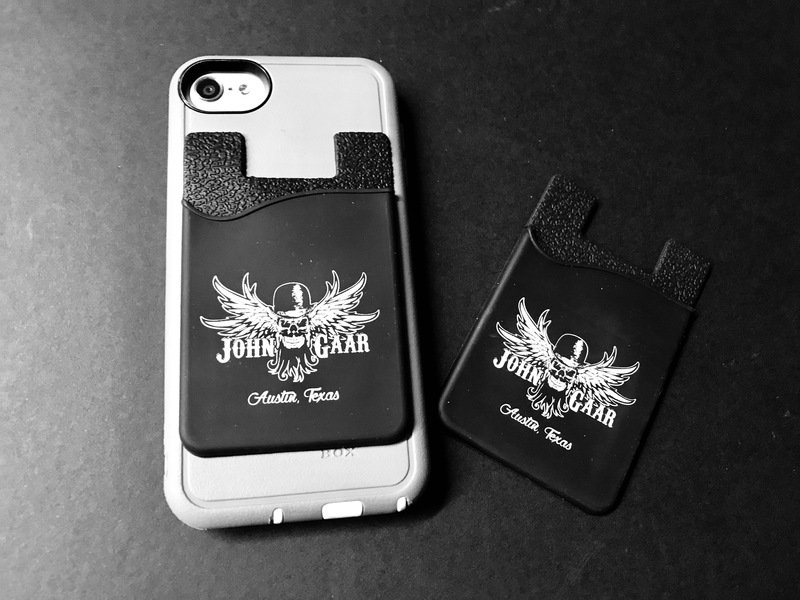 Carry your cards and cash with your John Gaar stick-on phone wallet! 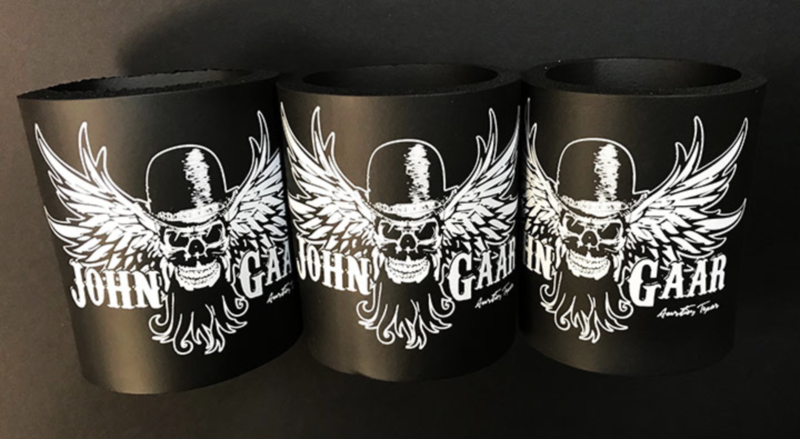 Size: 2 1/8″ W x 3 3/8″ H.
Keep yer dranks colder with your John Gaar old school foam koozies with a no slip grip! 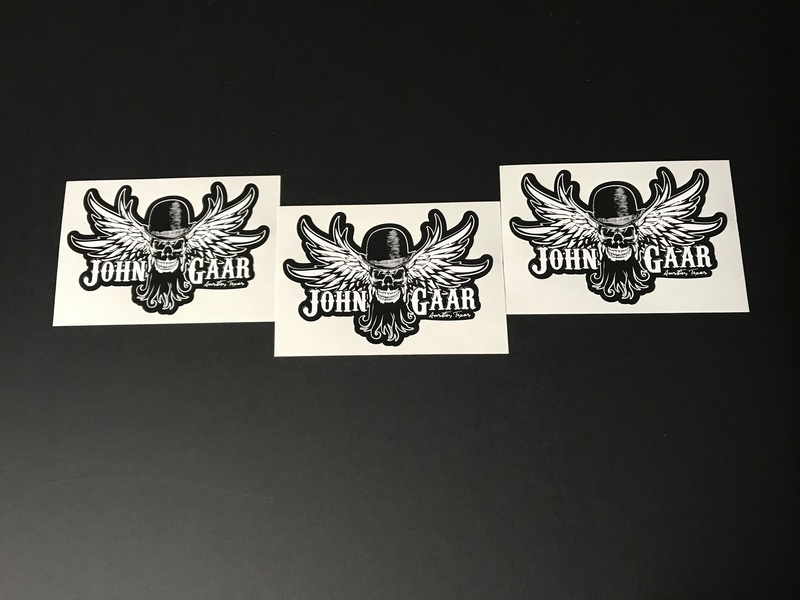 Show yer love with our 5x3.5 sticker!